China’s Central Asia Overtures: Why Now? Economic and security factors have prompted a shift in Beijing’s policy towards the region. Much has been made of China’s re-engagement with Central Asia. 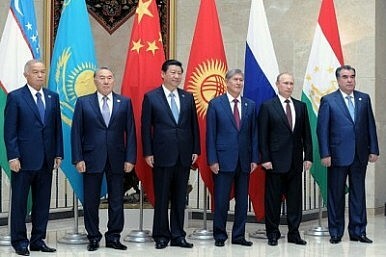 While others have commented on what China wants in the region, or why it is elevating its relations with the Central Asian republics, perhaps there is a more important question: Why now? Why has China made Central Asia a priority in 2013, and not last year, or the year before? China has always sought new access to resources, or to new trading partners, this is not new. China had previously agreed with Turkmenistan to build a natural gas pipeline to China in 2006. I suggest there are three reasons why China has chosen to deepen engagement with its Central Asian neighbors at this time: the selection of the Trans-Adriatic Pipeline (TAP) by a consortium of European energy companies; the 2014 NATO withdrawal from Afghanistan; and to increase competition with leverage against Russia. For some time now, Europe has sought Caspian Sea and Central Asian natural gas as a means to diversify away from Russia as its main supplier. The need for alternative sources became even greater after the Ukrainian gas crisis. Europeans increasingly viewed building a pipeline to bring Azerbaijani gas to Europe while circumventing Russian territory as a first step to connecting it to other parts of Central Asia, including Turkmenistan in the future. This plan has yet to come to fruition as the consortium backing the pipeline could not decide which pipeline plan – Nabucco, TAP or something else – to pursue. However, this year it was decided that TAP would be the choice and construction would begin. With the Europeans getting their act together, securing Azerbaijani gas, with more on the way, it was time for China to make its presence felt. This helps to ensure that China receives an increasing volume of relatively cheap natural gas from a nearby and non-African/Middle East source, while boosting its diplomatic influence. That in turn diminishes Europe’s ability to attempt the next logical step of connecting Turkmenistan and other Central Asian republics to its new pipeline infrastructure once it is completed. This was never necessary prior to the pipeline announcement because there was no way to ship Turkmen gas outside of Russia and China. China’s diplomatic successes in Central Asia – or the “near abroad” as Russia calls it – also increases its leverage vis-à-vis Russia in several ways. It prevents Russia from securing more cheap natural gas from Central Asia, which it sells at a significant profit to Europe. It increases competition in Central Asia, driving up the price of any economic cooperation in the region. China can also leverage this to get better terms on separate energy deals with Russia, or other side deals. This also weakens Russia economically as it reduces Russia’s ability to easily import gas as Europe continues to diversify, and seek lower prices. Lastly, the NATO withdrawal from Afghanistan dramatically changes the geopolitical calculus for China. Security along China’s western border has always been of paramount importance and an important pillar of Chinese domestic policy. While China previously could rely on the international community to maintain relative stability in the region, China now must not only counter a much less secure Afghanistan, but the potential destabilizing effects that has on other states in the region. With the withdrawal of international forces, Afghanistan has the potential to become significantly less secure, and could lead to spillover effects on China’s western province of Xinjiang, home to a large number of China’s Uyghur minority. Better relations accruing from increased economic and security cooperation in Central Asia could both open up new markets for Chinese goods and services and increase the stability of weaker countries such as Uzbekistan, Afghanistan and Tajikistan. Better economic cooperation might also incentivize Central Asia’s governments to cooperate on security along China’s border to help it prevent the “radicalization” of the Uyghur minorities China has long feared. To return to the original question: why now? The convergence of several economic and security factors that China did not previously have to worry about has prompted it to review its passive policy in favor of a more active stance in the region. The potential problems on multiple levels created by an Afghan security vacuum, the need to ensure energy access and diversity, and the benefits of maintaining an area of influence along its borders has encouraged China to adopt a different approach to its backyard. China has realized it can no longer passively sit and watch, it must engage. Aaron Filous is currently a Master’s candidate at the Georgetown University School of Foreign Service.